The Alexander Hamilton U.S. Custom House (originally U.S. 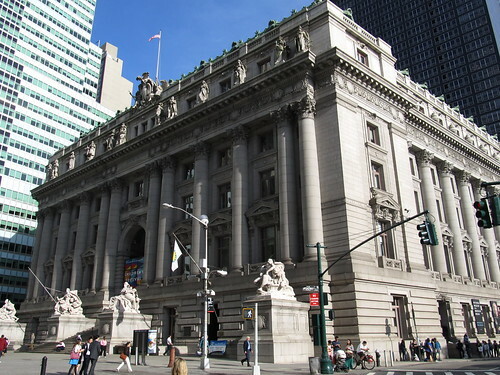 Custom House) is a building in New York City, built 1902–1907 by the federal government to house the duty collection operations for the port of New York. It is located near the southern tip of Manhattan, next to Battery Park, at 1 Bowling Green. The building is now the home of the New York branch of the National Museum of the American Indian as well as the Bankruptcy Court for the Southern District of New York. In 2012, it will also be home to the National Archives at New York City.